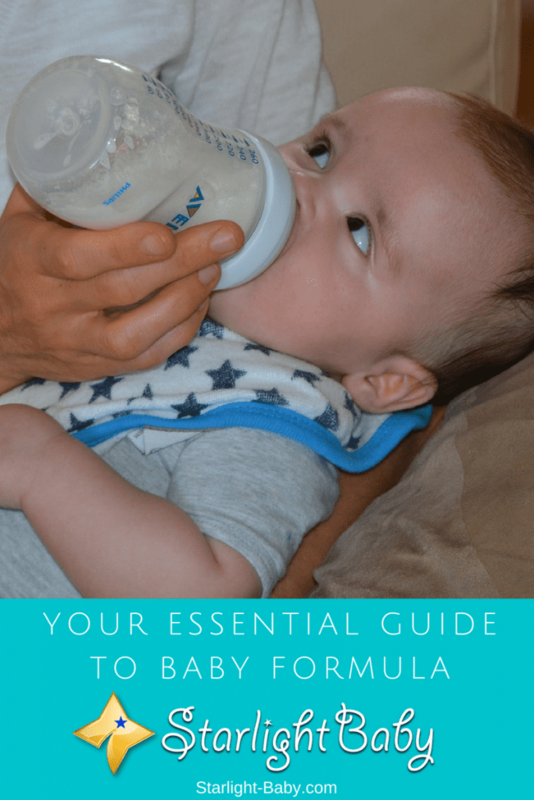 If you’ve chosen to formula feed your infant for whatever reason, you’ll likely have a lot of questions! There are many things you need to know before starting to bottle feed. For starters, there’s a massive range of formulas to choose from! Simply selecting the right formula for your baby can be a nightmare. Cow’s milk – The majority of infant formulas are created using cow’s milk. Out of all of the different types, this one is the closest resemblance to breastmilk in terms of nutritional content. The main thing to keep in mind is that no two cow’s milk formulas are created the same. Manufacturers adjust the levels of carbohydrates, protein and fat, as well as add various nutritional supplements to their formulas. The great thing about this type of formula is that since it does closely resemble breastmilk, it tends to be much easier for baby to digest. However, it also tends to be one that many babies are allergic to. If you discover your little one is allergic to cow’s milk, it’s worth looking into the other types available. Soy milk – While readily available, soy based formulas are only recommended on the advice of a doctor or pediatrician. Created largely from soya beans, just like’s cow’s milk formulas, these ones are enriched with various nutrients. They can be a good alternative for infants who struggle to digest cow’s milk, but it’s worth noting there are also some restrictions on when soy-based formulas should be given. You can find out more about feeding your baby soy milk here. Hydrolysed protein – Another cow’s milk alternative, hydrolysed protein formulas are the least common option. They are typically recommended if your little one can’t tolerate either soy milk or cow’s milk. During the production of this formula, the protein is broken down so that it is a lot easier for your infant to digest. As with soy milk, it’s advisable to see a doctor before trying your baby on hydrolysed protein. These are just the three main types of formula available. Other, lesser-known formulas are also created for infants with specific medical conditions, as well as those who are born prematurely. You can also get what are known as “second milks”, which are often advertised as being great for hungrier babies. They’re designed to be thicker than first milks (cow’s milk, soy milk etc) and take longer to be digested. It’s worth noting that second milks aren’t suitable for younger babies. You’ve also got the option to invest in “follow-on milk”. This is developed for babies over the age of six months. They actually look very similar to first milks so it is very important to read the label before you buy. Follow on milks should never be given to infants under the age of six months. You also don’t need to move on to them from first milk. What Are The Different Forms Can I Buy? Powdered formula will need to be mixed together with water before you can feed it to your little one. It typically comes in canisters with a little scoop and travel size packs are also available. It tends to be one of the cheaper options available, but it can be inconvenient to use due to having to carry around water wherever you go. It also takes longer to prepare than the other forms available and is known to give some babies constipation. The ready to feed formulas are by far the most popular due to their convenience. They’re already made up and mixed together, so all you need to do is put them in a bottle to feed your baby. However, you do pay for this convenience. Ready to feed variations are the most expensive so if you’re on a budget it might not be the best option. Concentrated liquid comes in a container and just like with powder, it needs to be mixed with water before feeding. It’s less messy than powder, but is a little more expensive. This type tends to be the least common option. How Often Should I Formula Feed? One of the most common questions new parents have with formula feeding is how frequently should it be given? The answer is – as often as your baby wants to feed! The only exception to this is if your little one is regurgitating a lot of milk back up. Even when you follow the guide on the back of the formula, your baby might not be able to handle the amount it recommends in one sitting. So, if they do start to vomit milk up quite a lot, cut down the amount you give them, but increase the amount of feeds during the day. Giving your baby too much milk is never a good idea. Logically, you might think this would decrease the amount of feeds you need to give them. However, in reality too much milk will simply make your baby sick and they could gain a lot of weight very quickly. If they don’t want to finish the bottle, don’t force them. They know how much milk they want so trust when they tell you they’ve had enough. 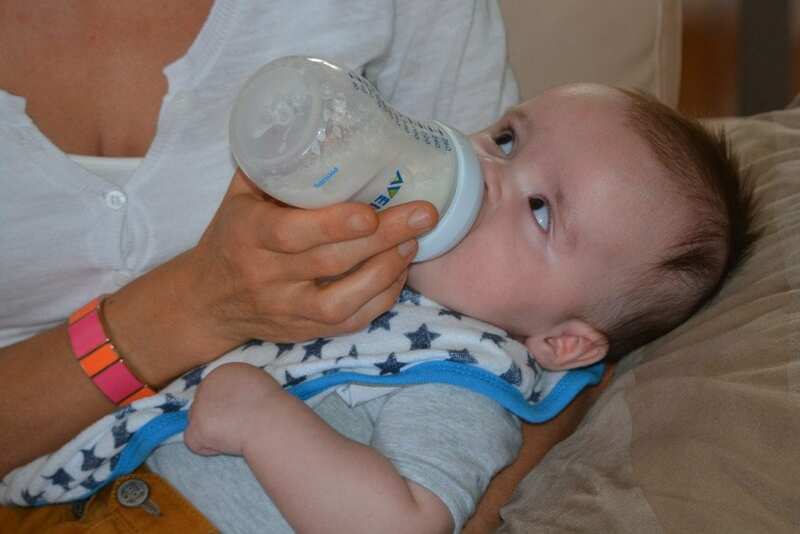 It’s estimated that by the time infants are one week of age, they’ll typically be asking for around 150-200ml of formula for every kg they weigh, per day. However, it’s worth noting that each baby is different so will require varying levels of milk. If you’re concerned about how much you should be feeding your little one, ask your doctor or pediatrician. These are the most basic things you need to know about infant formula. Remember, if you have any concerns over feeding your little one formula, you can ask your doctor for advice. There is no evidence that one brand of formula is better than another. So choose whichever you feel most comfortable with and consider starting out with cow’s milk based formulas if you can. I have read in another of your blogs that soy milk is not that good for our baby, even if it is a good alternative I will not use it for my baby. Since my wife cannot breastfeed I will probably give my baby a goat milk, I heard that this milk has a lot of nutrients and protect our child from allergies. In some cases soy milk can be the right choice, in many cases it is not. I would always recommend talking with a pediatrician before making any decisions on alternative milk sources, especially if not using formula. Goat milk is closer to cow’s milk than human milk and is not recommended for consumption under the age of 6 months. Our baby was born through C section and the new mother did not lactate for two days. Therefore, for two days, we fed baby formula. Even when the new mother began to lactate, we had to continue feeding baby formula because the breast milk was never enough. After 25 days of delievery,we traveled to our farm where we have a dairy farm of our own. We began feeding cow milk to the baby. For the first six months, we only fed mother’s milk and cow’s milk.